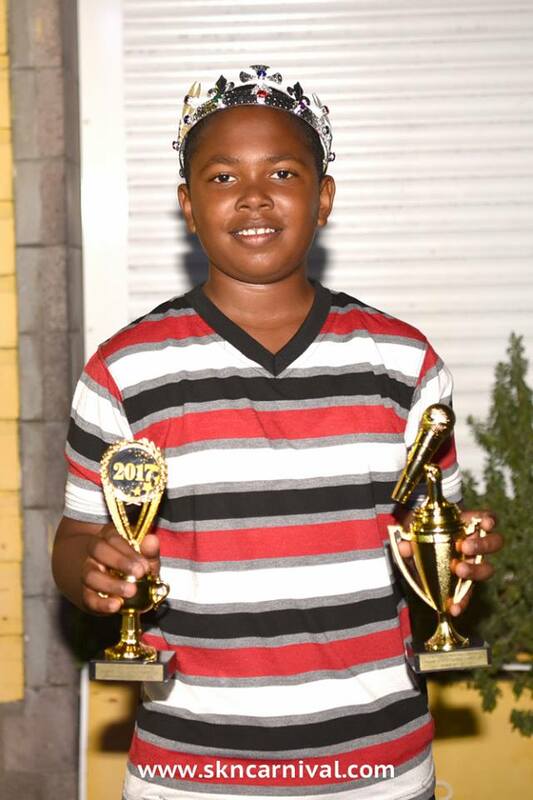 It was third time lucky and three lucky times for 12-year-old Nevisian Terron “Invincible” Webb who once again took the annual National Carnival Primary School Calypso competition. Hundred turned out at the Circus in Basseterre, St. Kitts to witness Terron’s third consecutive winning performance. Following the Primary School Calypso competition was the Best of the Rest Calypso show where10 competitors vied for the crown. At the end of the night Godfrey captured the crown with 210 points, 1st runner up – Queen Kibie: 197 points, 2nd runner up – King Dwightie: 194 points and 3rd runner up – Lucius: 189 point. Ten competitors battled for the crown. Five of whom were from Nevis and five from St Kitts, with ages ranging from 8-12 years old. The competition was held on December 14 at the Circus and was immediately followed by the Best of the Rest Calypso competition. 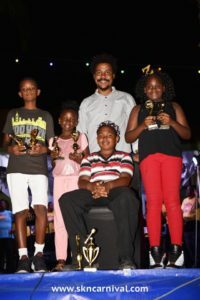 Webb, was crowned Nevis Culturama Junior Calypso King in July this year. He will also be traveling to Barbados earlier next year for a regional Junior Calypso competition. The 10 competitors in the 2017-2018 competition were: Shernicia Miller, Honey B with My Life (St. Kitts), Z’Quan McDowell, Mighty Z with I will sing (St. Kitts), DivoniqueLiburd , DV with Tribute to Carnival (Nevis) , Ethan Edwards, Mighty Edwards with walk the walk (St. Kitts ), Micque Washington, Lil legend with I will be (Nevis) , Zyon Harding , LegaZ with write me a song (Nevis), Marques Washington, Mighty J with Carnival celebration (Nevis), Tiaunna Warner , Sweet T with Granny’s Advice (St. Kitts) Kiman Burnham (St. Kitts), and Webb with Social Media Addiction (Nevis). The calypsonians were judged on lyrics, music and performance. At the end of the night Terron proved Invincible with 252 points, first runner up went to Sweet T with 225, second runner up was LegaZ with 196 and third runner up was Mighty J with 191.